Miss Berry is writing this letter to Dr. Stratton to let him know it was a pleasure to meet him and hopefully sometime when he comes to the south he can come to the schools and meet the children. 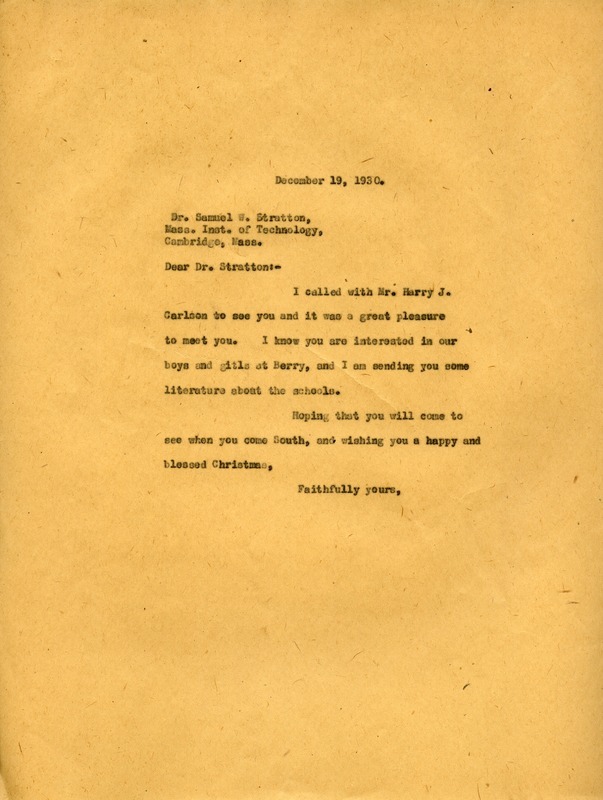 Miss Martha Berry, “Letter to Samuel Stratton from Martha Berry.” Martha Berry Digital Archive. Eds. Schlitz, Stephanie A., Jordan Brannen, Rachel Renaud, Tori Rietmulder, et al. Mount Berry: Berry College, 2014. accessed April 21, 2019, https://mbda.berry.edu/items/show/14063.